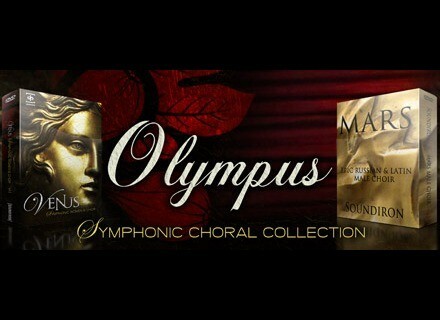 Olympus Symphonic Choral Collection, Virtual Vocalist from Soundiron. Soundiron celebrates Spring with a one week special offer and 20% off all their vocal sample libraries. The new price appears automatically in the basket so you don't need any special code. Visit www.soundiron.com for more info about the Soundiron vocal sample libraries. KV331 Synthmaster updated to v2.6 KV331 announces the v2.6 update for its Synthmaster virtual modular synth, which brings a new MIDI Out feature. The Waves Manny Marroquin bundle is out As announced at the beginning of the month, Waves launches the new Manny Marroquin Signature plug-in bundle today. Native Instruments Helios Ray for Maschine Native Instruments adds the new Helios Ray expansion pack to the Maschine lineup.